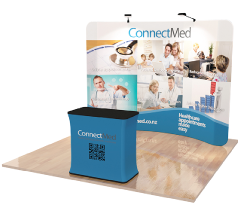 We are your trade show partner! Creating a memorable corporate identity is everything in any competitive industry. 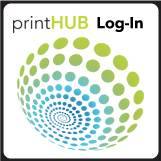 Quality signage offerings are a surefire way to gain brand recognition and direct traffic easily throughout a facility. In any industry, you may frequently organize functions to increase brand awareness and provide information to new clients. 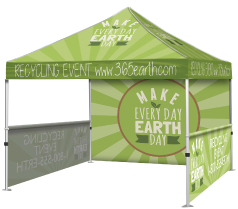 Help your brand stand out with quality display tools such as table throws, display tents and banners. These simple details can make your presence unmistakably professional.